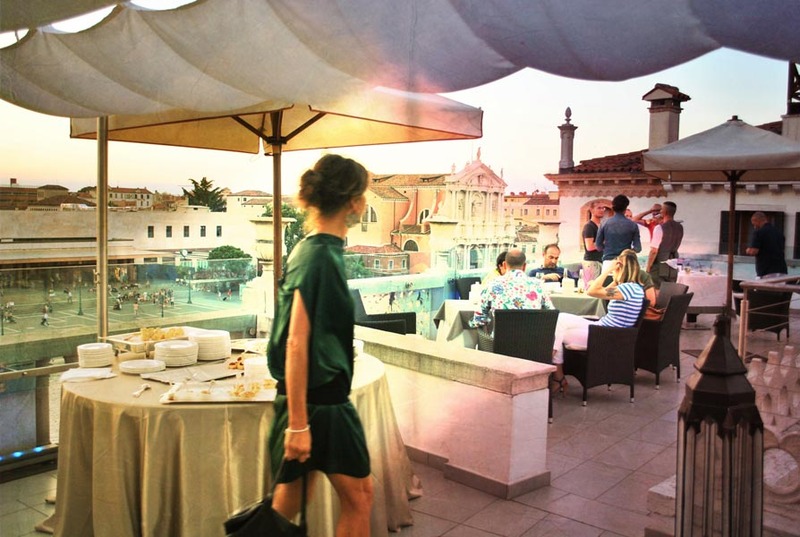 When it’s time to relax, let yourself be transported up high, into the most beautiful Sky Lounge in Venice, a real sitting room in the sky, where you can enjoy a cocktail in the clouds and taste exquisite dishes of fresh and tasty ingredients of the Venetian and Mediterranean traditions. 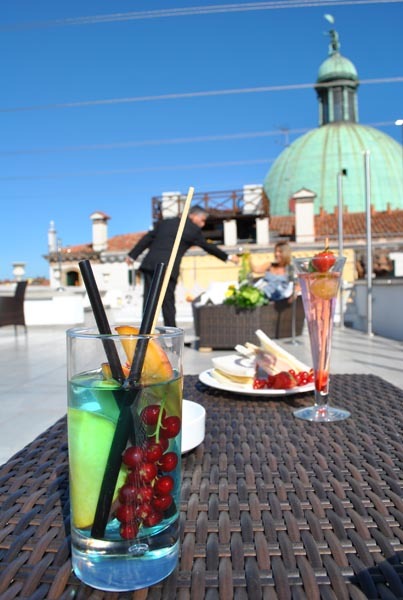 To begin or finish an elegant, fashionable evening, come to the TOP OF THE CARLTON, the splendid panoramic terrace situated on the 4th floor of the Hotel Carlton on the Grand Canal. 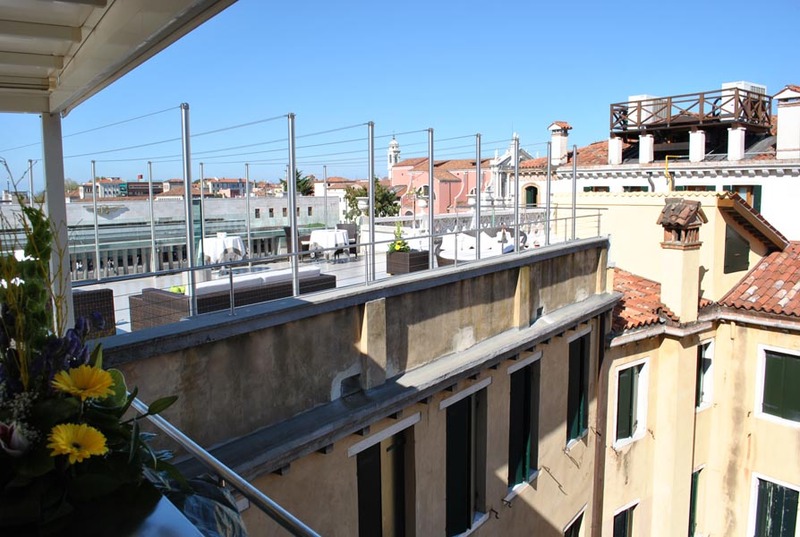 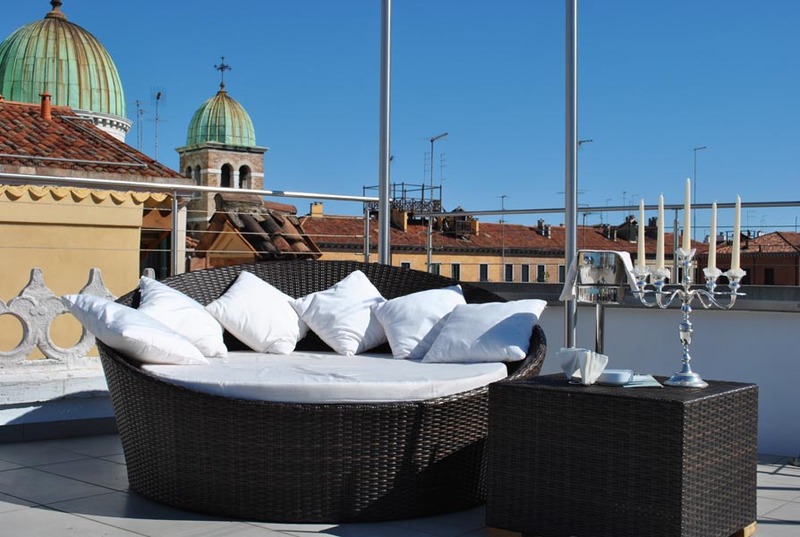 From here you can enjoy an extraordinary view which embraces the whole Venetian panorama with the majestic Grand Canal bordered with its antique noble mansions and the modern Constitution Bridge which crosses the assorted skyline of Venice full of domes, bell towers, arches and spires. 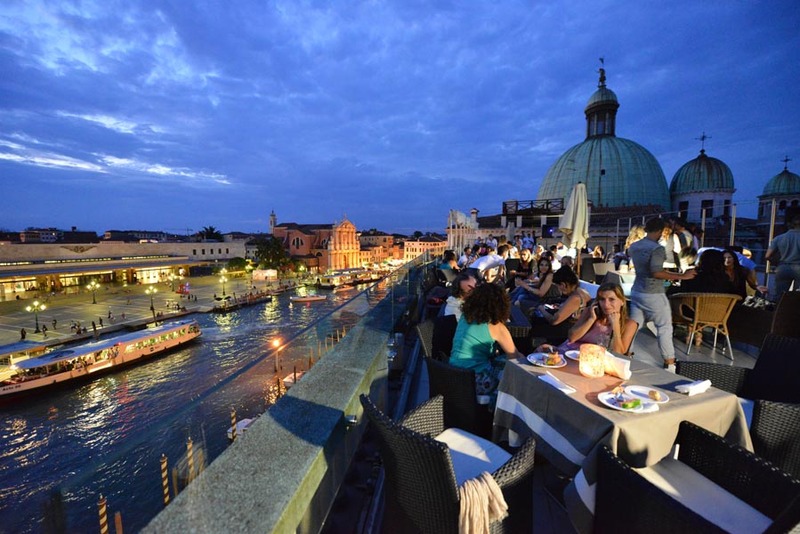 A vast assortment of cocktails, snacks and light-dining will accompany your evening while you are sitting comfortably, or while your gaze lingers on a romantic sunset, or while you listen to the gentle lapping of the waters of the Grand Canal when a gondola passes. 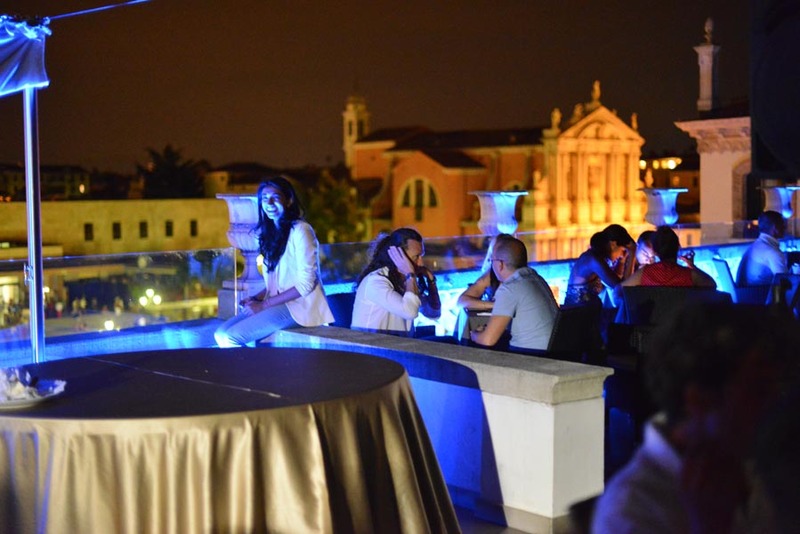 TOP OF THE CARLTON can be reserved for private events, weddings, birthday parties, business events, public relations meetings – our limit is….the sky! 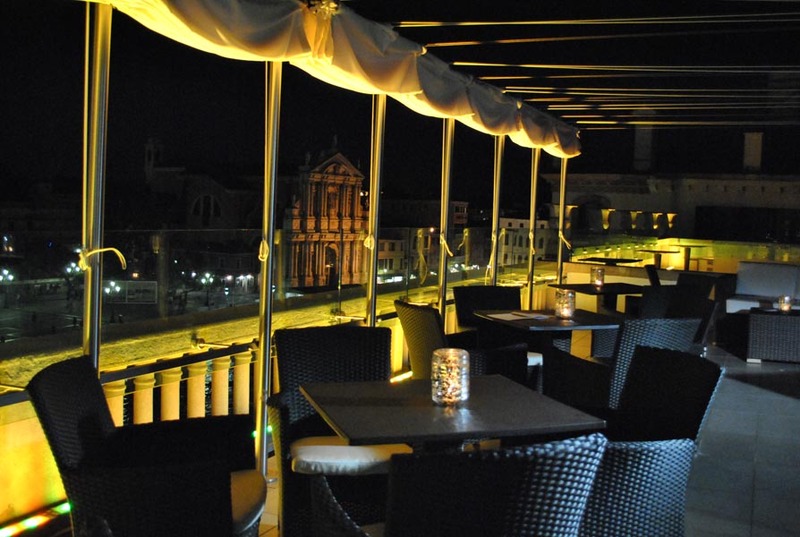 Open in Spring and Summer from April to October, in case of bad weather you will be offered La Cupola Restaurant.